Bible Discussion Group! 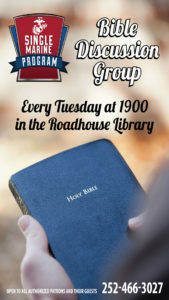 Every Tuesday at 1900 in the Roadhouse reading room. For more information contact the SMP front desk at 252-466-3027.